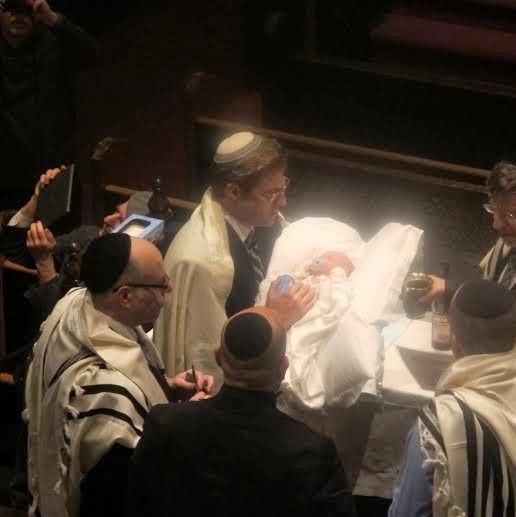 Jewish Joy: Myself at Sari and Rob Samuels’ baby boy’s Bris (circumcision) Sunday the 5th of January, 2014. One of the 16 babies born to MJE couples in 2013! The bris was beautiful. Thank you for the honor of holding your son during the naming. I consider it a great privilege. May your son be zoche to live up to both of his grandfathers’ legacies.